This month’s Member Spotlight highlights Santa Monica member company learnEd, an emerging online mobile gaming experience that teaches communication skills in English to global businesses. learnEd's on-site training programs have reached over 1,000 participants in various companies in India since 2012. The company employs highly-qualified English language educators from around the world who deliver carefully designed learning experiences to fit learners' needs. Its ultimate goal is to take the focus away from thinking about language, the limitations it poses, or judging one’s language ability, and instead successfully participate in a democratic and collaborative exchange of ideas. The online learning experience is scheduled to launch in August 2016. We spoke with Founder Tarana Patel to bring you the inside scoop of life at learnEd. Q: In one sentence, describe who your company is and what you do. 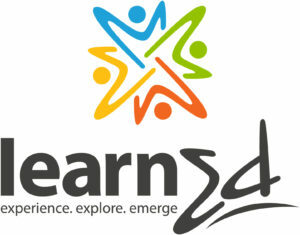 A: learnEd provides training for effective communication skills in English through tasks and simulations in a gaming style learning experience. Q. What is the problem you're solving? A: A global viewpoint and effective communication are imperative for success in emerging economies. Busy working professionals and university students (particularly in our current market space in India) have beyond basic English language knowledge, but are not able to apply it successfully in communicative situations. English training courses available to a majority of the Indian workforce generally cover language mechanics (structure, pronunciation, grammar, and vocabulary) at different levels. And yet, effective communication in English continues to be a challenge. The learnEd experience fills this gap of converting a person's knowledge of English to communicative competence. Fluency based language training is challenging to design as English, our lingua franca, is the most dynamic language today. Keeping in mind the lifestyle and aspirations of our users, we are really studying the interplay of gaming motivation and learning to deliver our tasks and simulations through mobile learning. Q: What brought your company to Los Angeles, and what do you like about the startup ecosystem here? A: LA is home. My education, professional training, and career experience in business and language education are rooted in LA. People in LA are creative and thrive on innovation challenges. I have been fortunate to find mentors and educators here who have been a driving force for EdTech and pedagogical innovation for learnEd. My entrepreneurial journey so far has truly showed me how borderless our world has become and how important global networks are in the success of a startup - it takes a village, and my "village" is LA! Q: How has being a part of the Cross Campus community helped you or your business grow? A: Cross Campus started off as a place to move away from my home office to focus on work, and has now, evolved to a place to meet like-minded entrepreneurs who share my challenges and give me new insights. I really enjoy my spontaneous chats and get fueled by the energetic environment at Cross Campus. When I need business connections, they are within an arm's reach here. Besides, there seems to be a sense of community and trust which makes it easier to connect with potential strategic partners. A: I am fairly new in my Edtech journey. The best moment I have had so far is truly understanding the importance of building a highly satisfying product/learning experience first to satisfy my target user profoundly. Very close to that is the ability to harness the confidence and fearlessness that comes along with this understanding. Q: Tell me about a time you failed at a goal you needed to achieve. A: Failure is the other side of success. Both are like yin and yang; both need to coexist; and, both teach you important lessons. A big lesson I learned from a failure became a major pivot in my business. That experience taught me to look beyond the framework of what I thought my business model to be. Because of that failure, I was challenged to extend myself as an entrepreneur and educator to look at alternative methods to reach my users' pain points. Today, that failure forms the basis of learnEd's new Edtech approach. Q: What are some of the characteristics of people that have been successful at your company? A: My team is still coming together, so I can speak for the characteristics I look for that I believe will help me get closer to success - a passion to learn, high regard for diversity of ideas, team spirit, courage, innovative mindset. Q: If your company were a Star Wars character, which one would it be and why? A: That would be Obi-Wan Kenobi; I personally love Yoda, but he would be a confusing language educator. As a company, we guide our users to a learning solution that creates better career and eventually life opportunities for them. We aim to democratize access to world class education by providing excellent learning content to build a learner's communicative competence in English. Q: Who do you respect the most, and why? A: I really admire the entrepreneurial spirit of Sameer Bhatia of ProProfs.com. I am fortunate to have him as a mentor. He started just like I have; with a good skill, and an idea to solve an important problem. His entrepreneurial journey, courage, and foresight are a big inspiration. As a woman in tech, I have a lot of respect for TechHub's Elizabeth Varley. In three years, TechHub, a bootstrapped startup, has become a large global organization with an incredible vision that helps other startups succeed. I had a chance to hear Varley speak at SURGE in India. "Don't buy customers, get them organically" - this and her other ideas for driving growth by building the best product with the best content before spending heavily on marketing have stuck with me as I build learnEd. Q: Where do you see yourself and your business in 10 years? A: Ten years don't seem so far away. We want to be in a global space that is connected to a larger audience of learners and facilitators. They would be guiding the creation of content for our gamified learning experience for English communication at the workplace and sharing knowledge as a global community. We will also have a fully developed model for bringing the same world class mobile powered training in a socially responsible way to teachers of English in emerging regions of the world. In my view, this will close the learning and teaching loop that is facilitated seamlessly through technology.